Paragon Bank has three branches located in Raleigh, Charlotte and Cary in North Carolina. It offers its customers worldwide free ATM access. Its small business offerings include business checking, cash management, business lending, investing and business account management services. It has an A+ rating from the Better Business Bureau and generally positive reviews online. Paragon Bank has three offices in North Carolina: Raleigh, Charlotte and Cary. It also allows its customers to use any ATMs worldwide at no cost and waive any charges imposed by other bank or financial institution ATM owner. You can use its branch locator to see which locations are closest to you. 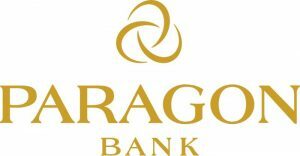 Paragon Bank also offers the following business services: online and mobile banking, business money market accounts, lines of credit, term loans, commercial real estate financing and business credit cards. Currently, it doesn’t offer business savings, Small Business Administration loans and wealth management. Find out more about its small business offerings on its website.